I scream, you scream we all scream for Dry Ice Cream! So let’s start at the beginning…what is Dry Ice Cream and how does it differ from the regular Ice Cream that we know and love? Basically our milk and cream mix is quickly frozen using Dry Ice which allows you to produce a chilly treat in under a minute from room temperature. Since you’re making your mixture from scratch it allows you lots of versatility in the different flavours you can make. This means that your guests or customers can choose from more than 100 flavours on the spot without you needing a huge amount of storage or freezer space. A word of caution though — this doesn’t work with pellets of Dry Ice, only the powder produced by a JetChill machine. You need to use a powder because of the way it disperses itself within the liquid and harmlessly disappears. With pellets you may be left with chunks of potentially dangerous Dry Ice. Pro: Great flexibility in terms of flavours. Pro: Can be made at the table for added theatre and ‘wow’ factor. Pro: Creamy texture is unlike most normal ice creams. Pro: Big savings on storage space and stock wastage. Con: Needs good supervision to ensure all Dry Ice dissipates. Con: Should be served in frozen bowl to prevent rapid melting. 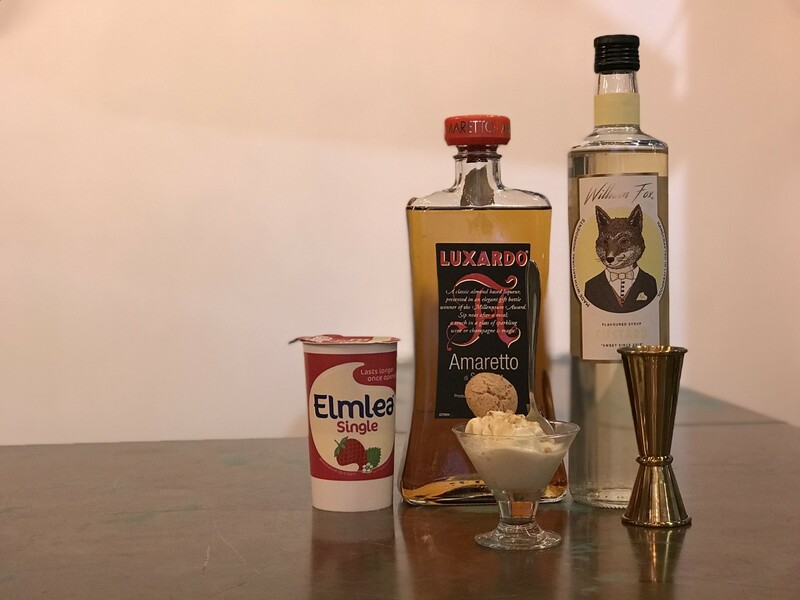 We’ve put together a recipe and step-by-step guide to make your own Boozy Amaretto Instant Dry Ice Cream! Step 1: Lay out all the equipment and ingredients you’ll need and chill the serving glass. Step 2: Measure out your Single Cream, about 50ml is enough for a single serving. Don’t worry, the full recipe is included at the end! 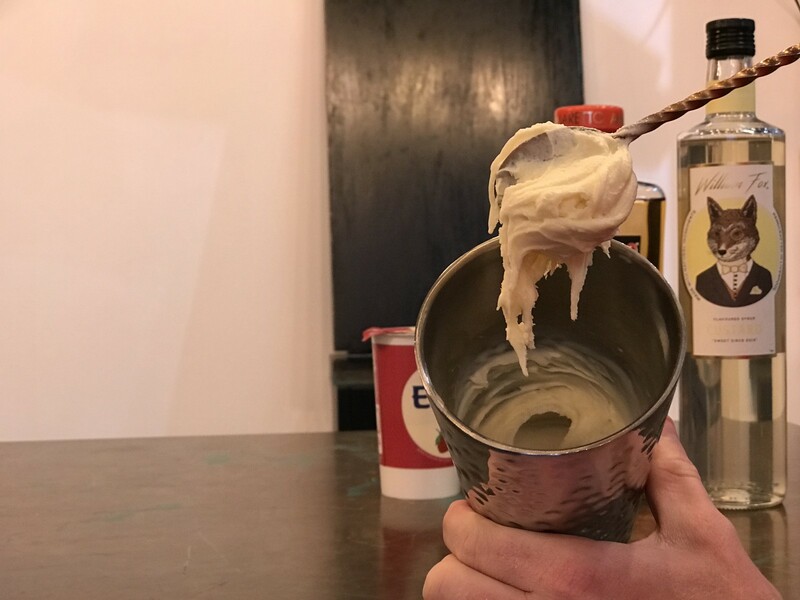 Step 3: Do the same for your other ingredients, 15ml of Amaretto and 12ml Syrup (we chose William Fox’s Custard flavour). 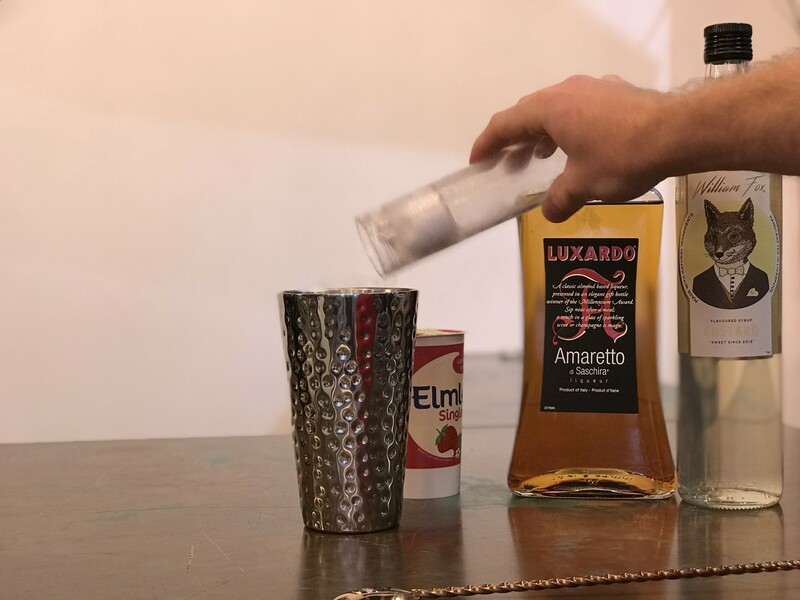 Step 4: Pour all your ingredients into a double-walled cocktail tin or similar insulated vessel. Note you can add all your ingredients to a 100/125ml (4oz.) glass or ceramic jug for table service. Step 5: Add a puck of JetChill Dry Ice. One should be sufficient but you may need two in warmer climates or if the mixing vessel isn’t insulated. Step 6: Mix until the mixture is a thick, creamy texture and all the Dry Ice has disappeared. You can use a Milkshake mixer for this or by hand if, like me, you still have to burn off all that food from the holidays! Step 7: Serve with an Amaretti Biscuit & some crumbs to add texture. In a chilled glass, the Dry Ice Cream should last up to 10 minutes before it melts. 15ml (1/2 oz.) 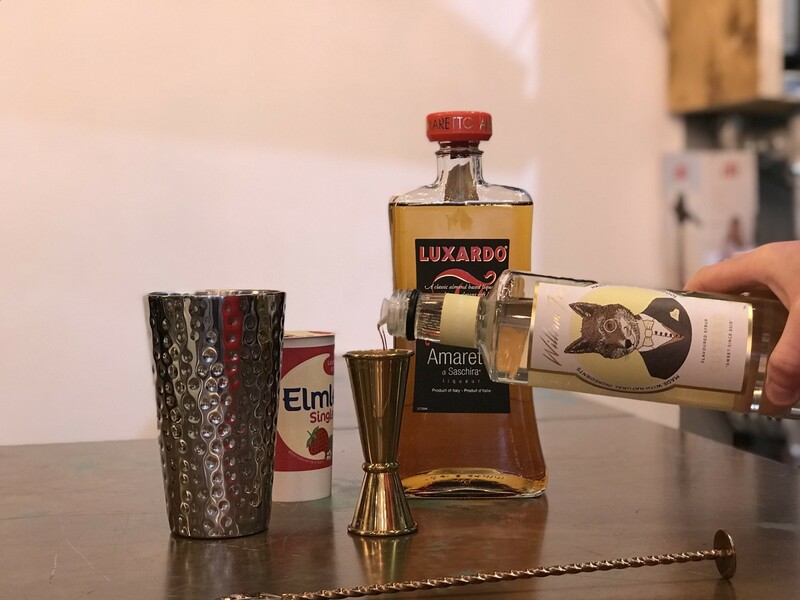 Amaretto — Alcohol is optional, it works well without, just increase the volume of Syrup used to compensate (25ml/1oz. total should be sufficient). 12ml (1/3 oz.) 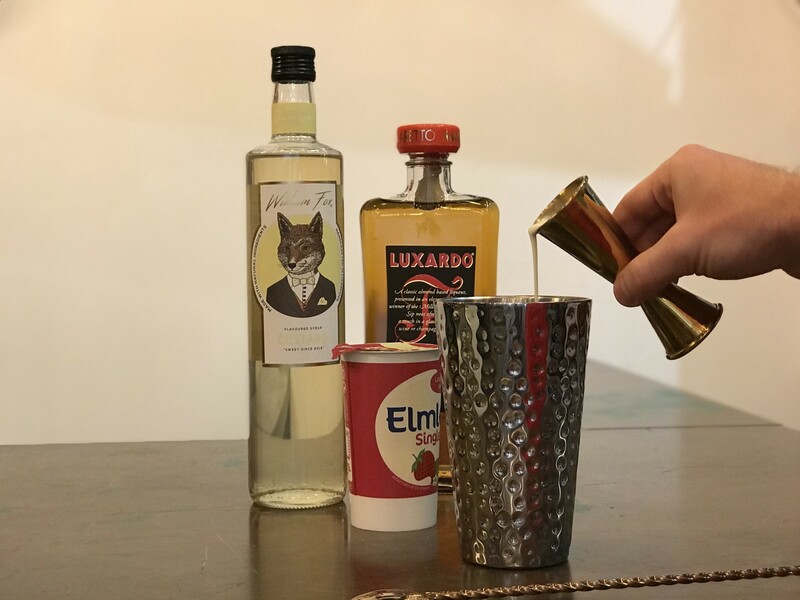 William Fox Custard Syrup — You can choose any flavour you like! 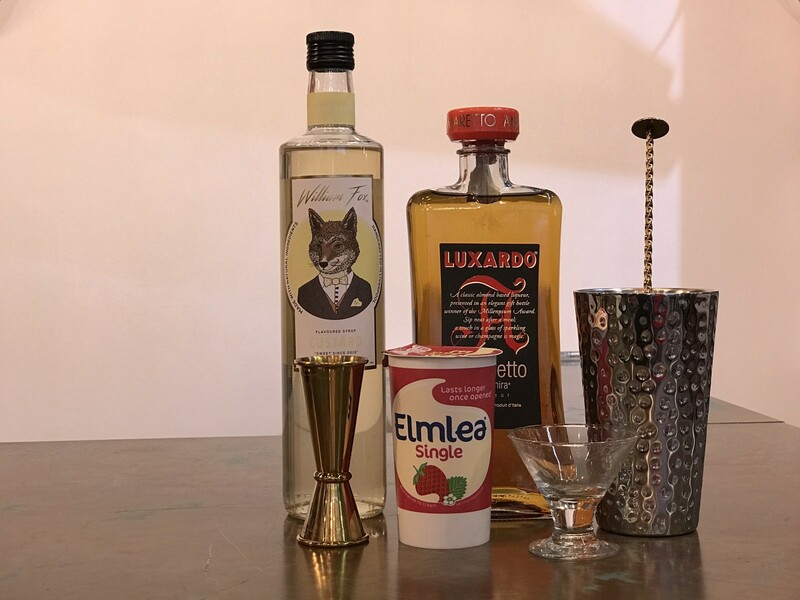 We’ve experimented and this recipe works with a number of different spirits including Chambord, Frangelico, Malibu and Creme de Fraise. 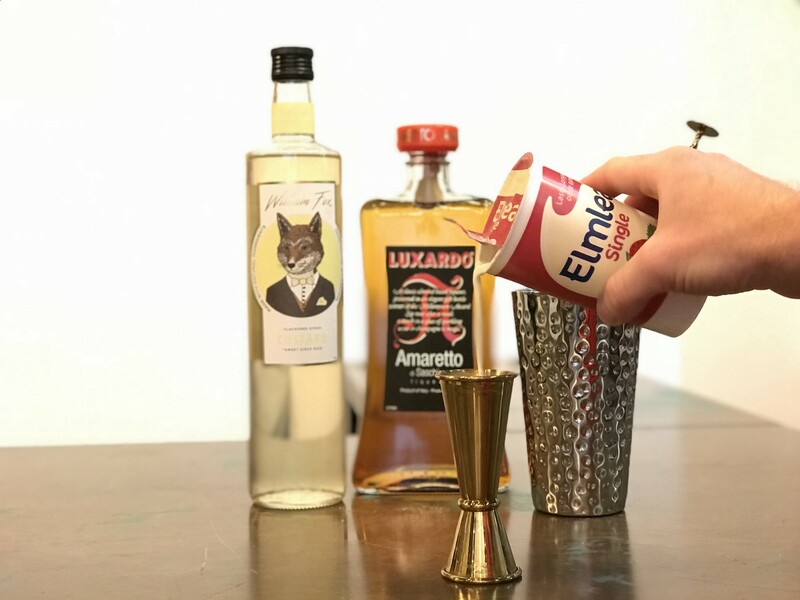 Lower ABV spirits work better and melt slower but feel free to experiment and please send us any of your ideas & recipes!